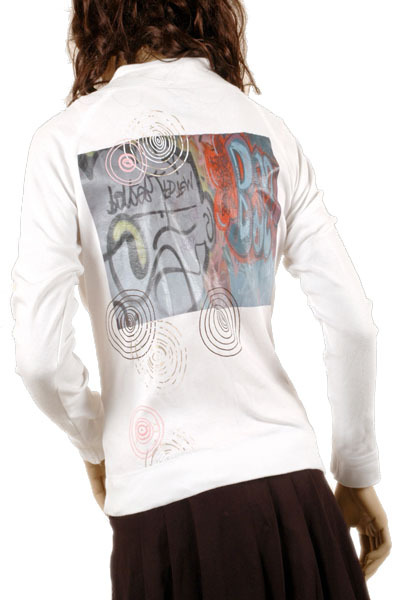 What is Heat Transfer Vinyl? Heat transfer vinyl for textiles are a way to produce professional, personalised garments quickly, easily and very cost-effectively. Using a computer, commercial heat press and either a vinyl cutter or digital printer you can decorate just about any fabric. Available in two product lines; GJS Flex and GJS Flock range are cut-only or CAD-Cut vinyl suitable for single colour jobs comprising of text, logos and sporting numbers. Since GJS Flex and GJS Flock also adheres to itself you can also create complex designs simply by applying multiple layers to your garment. The GJS TexiPrint and EasyPrint range of digitally printable film allows you to produce high impact, multi-coloured, transfer from a solvent/eco-solvent printer. 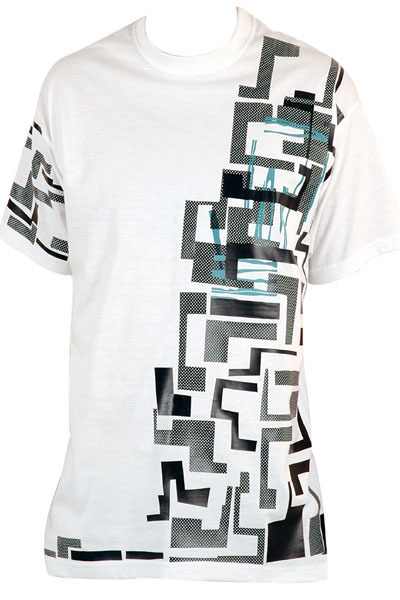 Using a Roland Printer & Cutter you can produce high quality transfers in the single workflow. What do I need to decorate textiles with heat transfer vinyl? How much money could my business be making? Pricing and calculations are correct at time of publishing based on research conducted by GJS and are subject to change without notice. Production costs will vary based on your printer, coverage and volume of stock you purchase in. Please conduct your own research. All prices exclude GST. 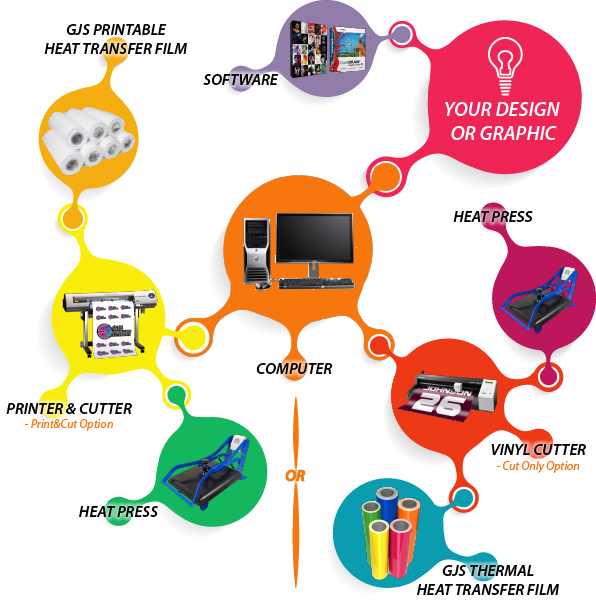 What is the return on investment of a heat transfer vinyl solution? Using the below points as an example you can potentially break even in the 5 month! * Estimates only and does not take into account your personal situation, overhead expenses and other variable costs. Please conduct your own calculations. All prices exclude GST.